Curcumin is derived from turmeric spice, and has been used in traditional Chinese medicine for centuries. It has been shown in some studies to be of benefit in treating psoriasis in both topical and oral formulations. In one study, a 1% curcumin gel was compared with calcipotriol. The efficacy was found to be similar between the two treatment groups, but curcumin worked quicker. However, this study was small and very well documented. Topical curcumin has a yellow color, which may stain skin and limit compliance. Oral curcumin has also been studied in mild and moderate psoriasis. Oral curcumin in a phospholipid delivery system plus a topical steroid was found to be more effective than topical steroid alone in treating mild to moderate plaque psoriasis, but other studies have not shown an advantage to oral non-modified curcumin in treating psoriasis. 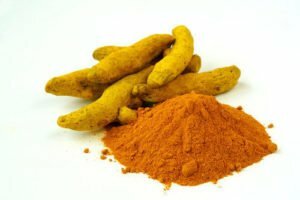 Curcumin in both oral and topical forms can be found for sale on the internet and in health food stores, but the formulations may vary widely since these products are not regulated by the FDA or approved for the treatment of any medical condition.